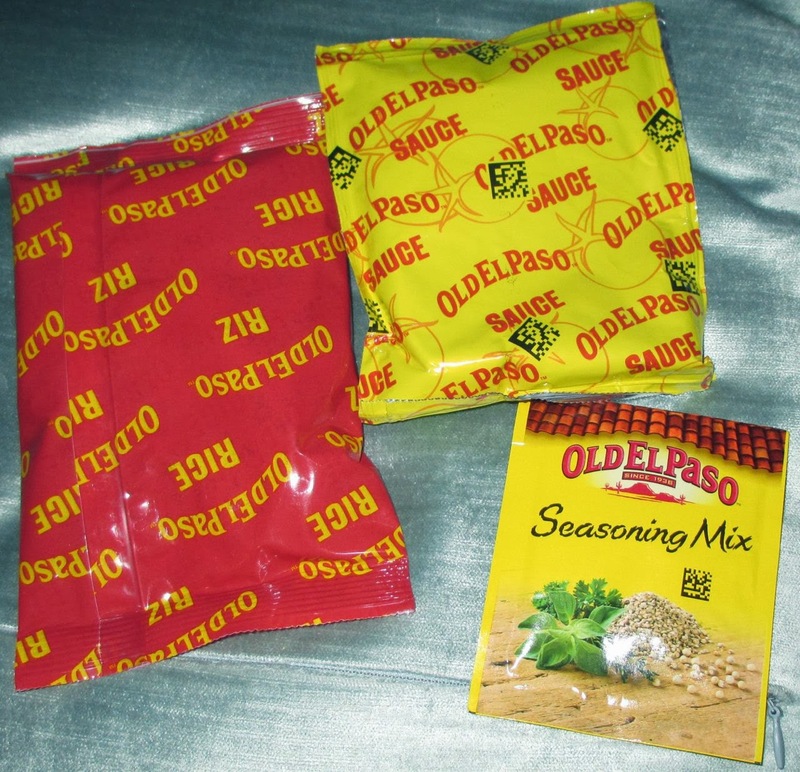 The lovely folks at Old El Paso kindly sent through some goodies for us to try, in return for an honest review. 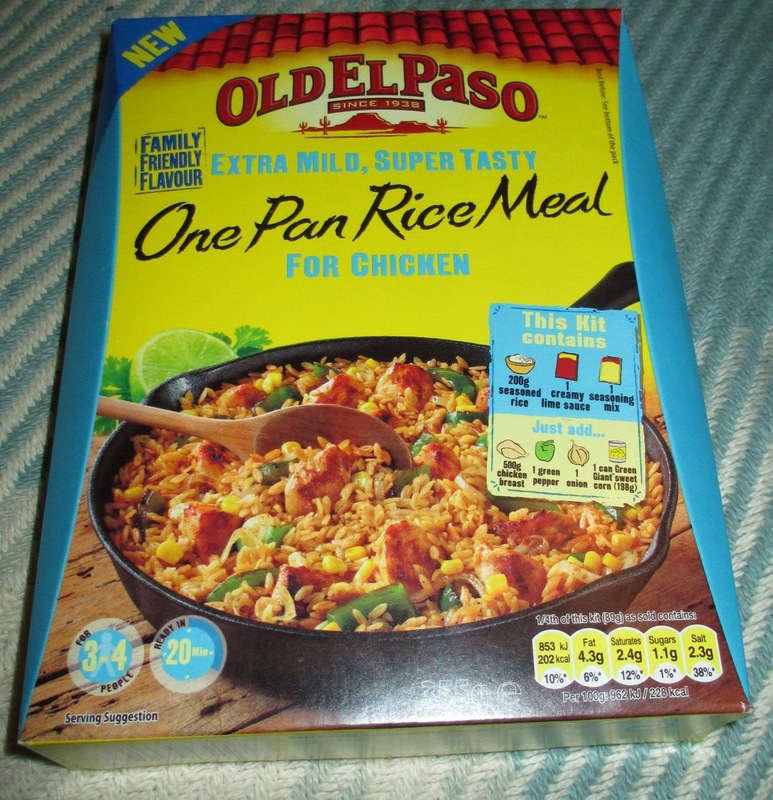 This One Pan Rice Meal is one of their new products so it won’t surprise you that it was the first item I wanted to try. The kit is also available in a Chilli and Garlic variety too, but I was tempted by the Extra Mild version, which is essentially lime. Now I know the packet mentions chicken as the advised meat, but as a bit of a seafood junkie we decided to rebel. 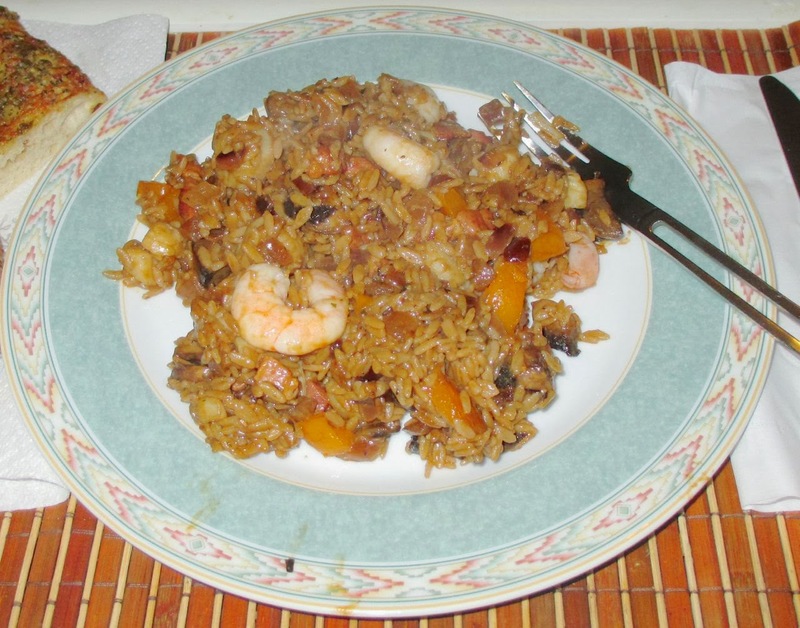 Prawns and scallops have a delicate flavour so we felt it would absorb the spices in a similar way. I opened up the box and found three packets inside, one sauce, one spice and one rice. Officially you start off by browning your chicken in a pan and cooking it through (if you choose to use prawns/scallops though leave them until nearer the end as they don’t take much cooking), then add some veggies to cook through, it recommend peppers and sweetcorn. The rice packet goes in next and you stir that in for a minute. After this you add in the other two pouches; sauce and spices, and 350ml of water. It does look like a lot of water, but after 10 minutes of simmering it had all been absorbed by the rice or evaporated. Oh my it smells good when it is cooking! Thats it, all that is left is to serve it, so it is a quick meal too. We shared it out on plates, and it smelt delicious, and I have to say the large prawns looked like they were perfect for it. The flavours were incredible. The creamy lime flavour was delicate, but its zesty taste just brought everything together. I loved the tangy spices too, there was nothing hot but a warmth from some coriander which was intermingling perfectly with our added veggies and seafood. Every mouthful was a pleasure, and as full as I was after gobbling down my large portion, I still wanted more, I knew it had made it onto the list of things I’ll have again! Hello, I love your blog! Could you possibly review Lucozade's new World Cup flavours (guava and mango and mandarin) or the volvic coconut and pineapple water please? Anon - consider us on the lookout for the new Lucozades!